The Arduino Project Hub is a cornerstone of the new platform, where users can share tutorials and project builds. Whereas before you had to get your project fix from Hackaday, the Arduino forums, or other community outlets, it looks like the creators of our beloved little boards are trying to consolidate community content within their own ecosystem. If the Project Hub is clean and well organized, this could be a great resource for beginners and experts alike. Another major component of Create is the Internet of Things portal. This is an obvious nod to the explosion in connected Arduino devices (and microcontroller devices in general). The IOT page is an aggregation of various projects and resources, but the most interesting thing to us was the link to Arduino Cloud, a platform to connect and monitor Arduino devices over the internet. At the moment, it appears to be in beta, and users can sign up to try things out. In their own words, the platform is currently offering “an MQTT broker which enable you to send messages from one board to another”, but hints at future expansion. 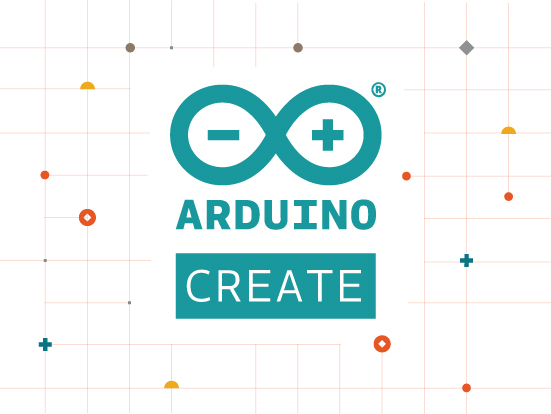 The new Arduino Create Project Hub homepage. This could be a huge development, since dealing with the vagaries of network communication can be a huge learning curve (on top of learning how to build circuits and program your microcontroller!). We will be watching the development of Cloud and the Create platform closely, and can’t wait to see what’s in store next. Check out Create and let us know what you think. What features would you like to see most in a web-enabled Arduino dev environment? This entry was posted in Arduino, News, Projects, Resources by engblaze.